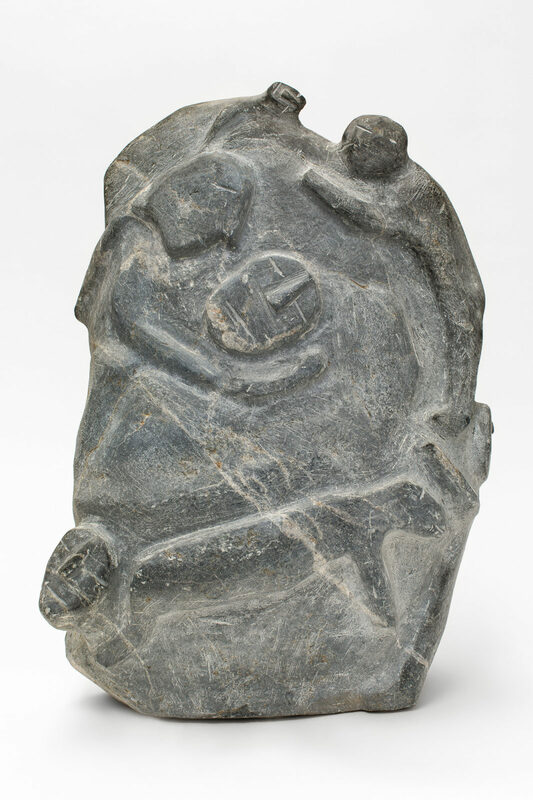 untitled (climbing and helping), c. 1995, basalt, 24.5 x 17 x 8.5 in. 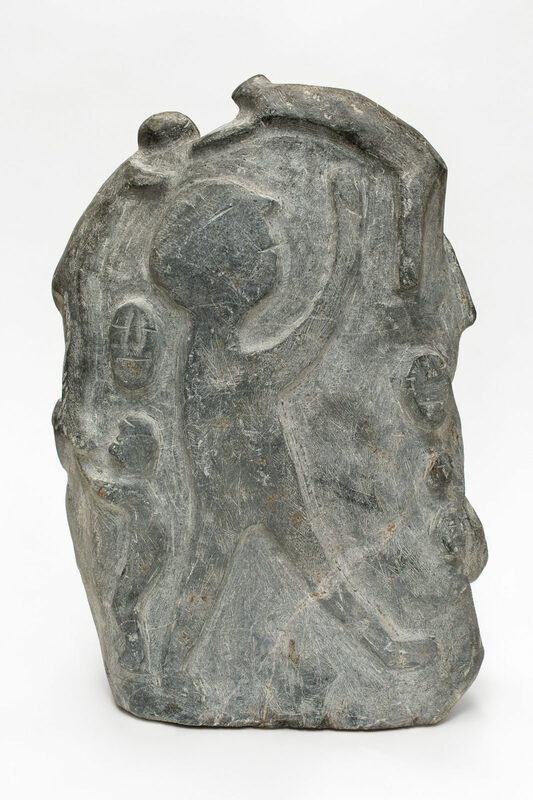 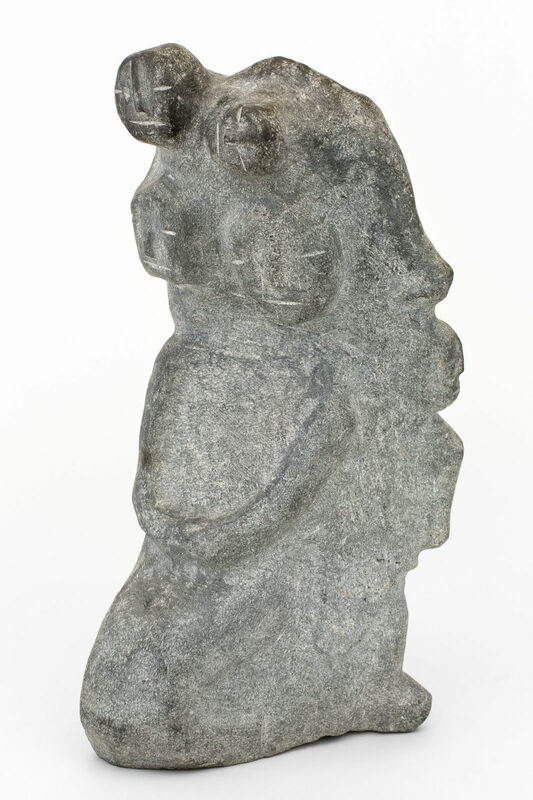 untitled (family group), 1999, steatite, 18.25 x 9.5 x 9 in. 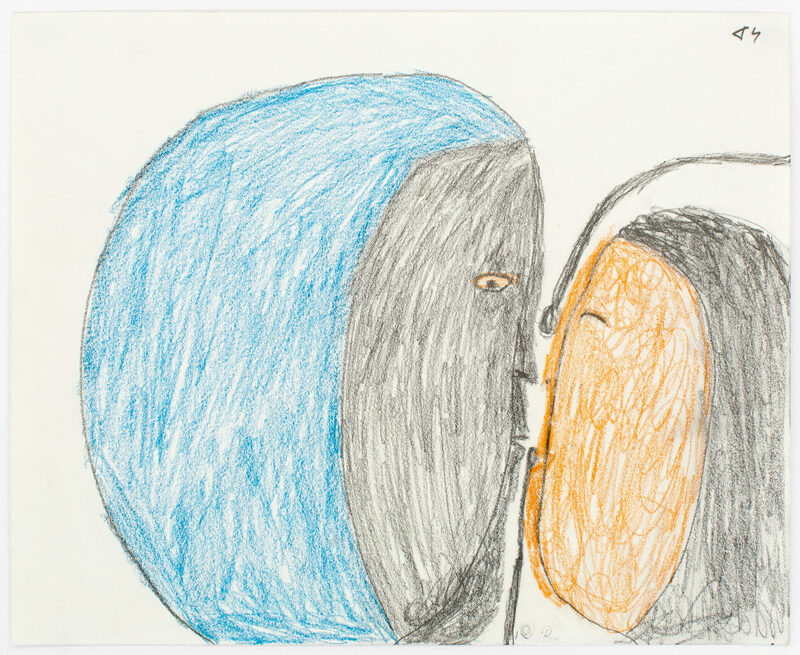 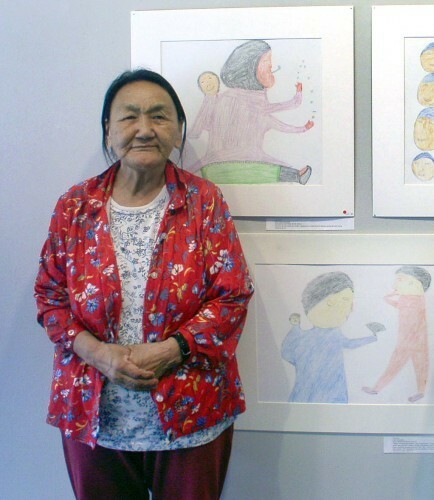 Throat Singers At The Microphone, 2004, color pencil, paper, 11 x 13.25 in. 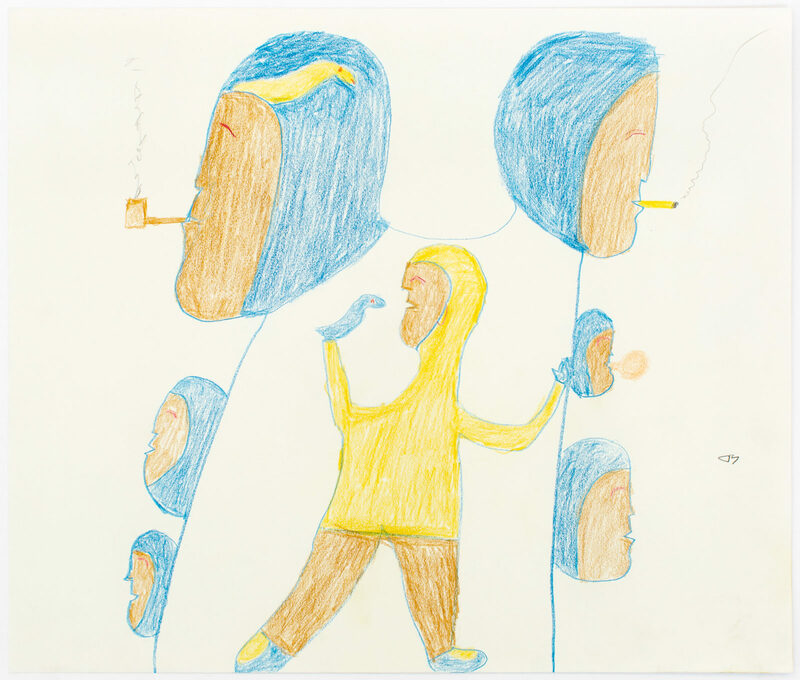 Gathering Of People With Birds, 2004, color pencil, paper, 14 x 16.25 in. 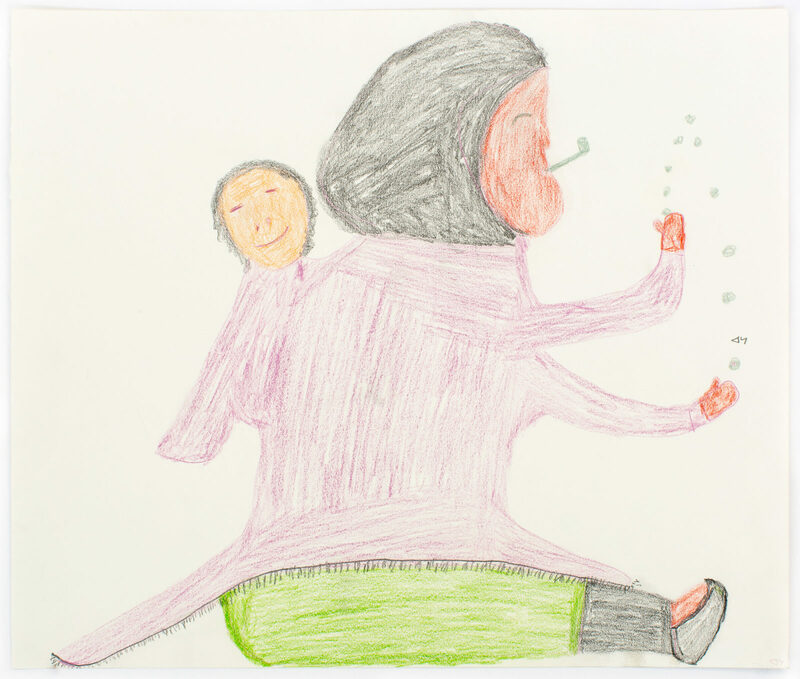 Juggling Mother With Child, 2004, color pencil, paper, 14 x 16.25 in. 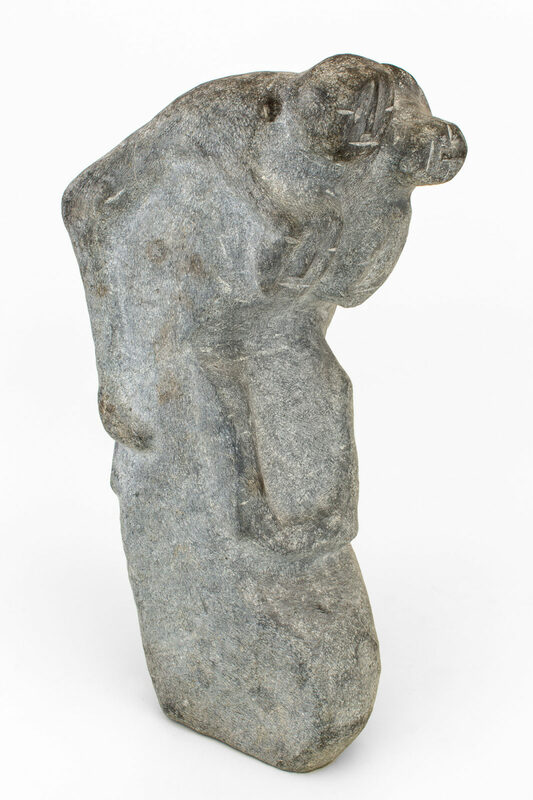 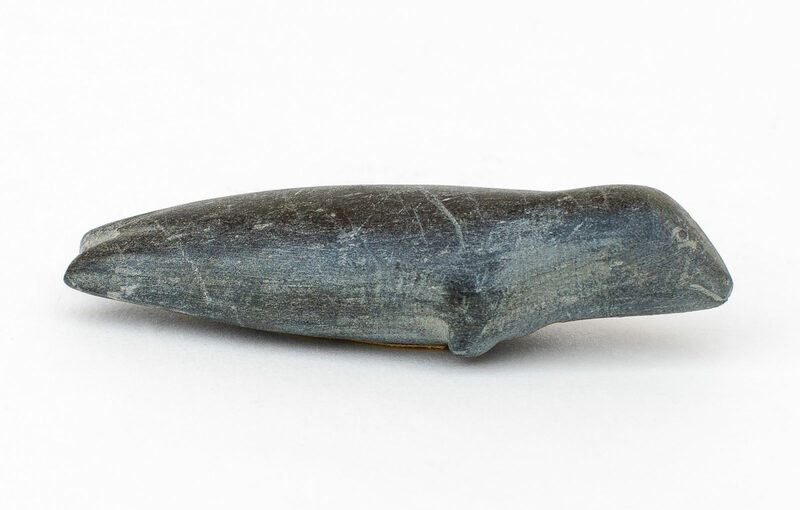 untitled (seal), c.1960's, stone, 3.75 x 2.25 x 0.5 in.